Do more of what you love with up to 36 hours of battery life. * Watch videos on an edge-to-edge 5.7" HD+ Max Vision display. Capture great photos with a 13 MP rapid-focus camera. Unlock your phone with your fingerprint. And do it all fast on a 1.4 GHz quad-core processor. Go up to 36 hours on a single charge thanks to a 4000 mAh battery. When it’s time to power up, don’t slow down. The 10 W rapid charger gives you hours of power in just minutes. The 13 MP rear camera uses phase detection autofocus to focus fast, so you never miss a moment. 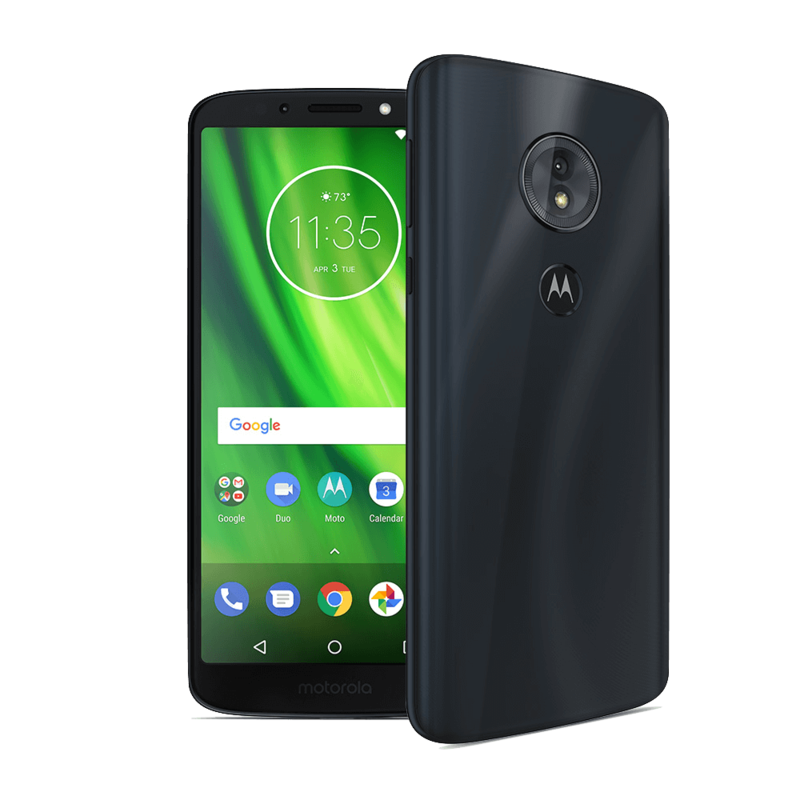 Plus, you always get the best pictures - moto g⁶ play automatically takes multiple shots and recom- mends the best one to keep.